We have over thirty years of experience in providing biblical solutions for individuals, couples, and families. George Kelly, MA, LPC and Tamara Kelly MA, LPC provide services for the Christian community in a wide variety of areas, both in private-practice and group settings. 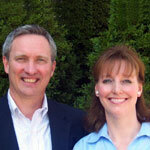 George and Tamara Kelly, LPC serve Rochester Hills and surrounding areas. To set up an appointment or to request more information about our practice, please contact us today! 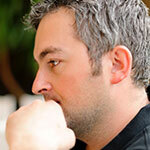 Living well is not a matter of whether we will encounter problems but how we respond to them. Facing our problems can be an opportunity for restoration and growth. However, at times life presents us with obstacles we are at a loss to overcome on our own. We are here to help you by listening, supporting, and guiding you as you deal with your concerns. We have experience in dealing with a wide variety of issues. We invite you to contact us to learn more about how we can help. 37150 West Eight Mile Rd.